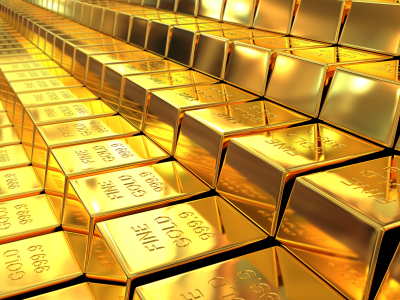 China Bullion: Where to Next for China's Gold Market? The annual conference of the London Bullion Market Association - the "premier professional forum for the world's bullion market" as Haywood Cheung of the 100-year old Chinese Gold & Silver Exchange put it this morning - is taking place right now in Hong Kong. The timing could hardly seem more urgent. Hong Kong has always had great importance to the global precious metals market - particularly since the 1970s, as several speakers noted on Monday, day one of the LBMA's two-day 2012 conference. But while Hong Kong's dominance as Asia's bullion hub may yet be challenged (it beat off "stiff competition" to be this year's Asian LBMA venue, Cheung writes in the South China Morning Post; Singapore removed general sales tax from gold last month, and now its gleaming new freeport vaults are already booked out, with a second facility being discussed), it's Hong Kong which remains "the gateway to China". And China remains the big prize for the record 700+ delegates from 279 different miners, refiners, banks, dealers and secure logistics providers gathered here from 39 countries. "China's appetite for gold has increased rapidly," explained Albert Cheng, managing director for the Far East at market-development organization the World Gold Council after lunch today, "with gold demand growing by an average 24% per annum since 2007. "China's share of global gold demand doubled from 10% in 2007 to 21% in 2011." And as Cheng's chart shows above, China in fact overtook world #1 consumer India in the first half of 2012. #1. Transform gold from a commodity to a financial investment market: The Shanghai Gold Exchange now boasts 33 financial members, and 3 million individual clients. Meantime, more than 30 commercial banks are active end-to-end in gold, offering both physical and paper gold, and acting as "an important channel for Chinese citizens to be involved." Deferred settlement was launched on the Shanghai Gold Exchange in 2004, in a bid to allow greater trading volumes without being hit by shortages. From 2008 to 2010, it accounted for over 60% of the SGE's volume, rising to 73% in 2011. Compared to other "spot" contracts worldwide, said Xie, it's now the most heavily traded, with turnover of 6,000 tonnes last year. Twenty-four hour trading is crucial today, the PBoC general director said. So in 2005 the SGE launched its night-time session, to overlap with the afternoon in London's physical market and morning trade in New York's Comex gold futures. Now that period - from 21:00 to 02:30 - accounts for a third of total SGE volume. It's particularly welcome for those foreign banks which have become members of the exchange, starting with HSBC in 2008. All this adds up to "big progress in the Chinese gold market," Xie said. "But there is still a long way to go." And which way is that? Remember, we are in China. "Frankly speaking, this success is the result of free choice by the market and the support of policy," Xie went on. "The government took effective measures to guarantee smooth development." In particular, late last year it banned the "illegal" gold market, closing down all trading centers outside the officially recognized and managed Shanghai Gold Exchange and the Shanghai Futures Exchange (SHFE). The concern was that "the gold price rise had led to a surge in domestic demand, and that led to margin-trading businesses using overseas derivatives contracts as the underlying asset. That was very risky because of the leverage. So the government is fighting the underground market." That last point is for "later on", Xie added, with China's gold market only "fully opened" to foreign players once the other planks are assured. No, this doesn't yet cut both ways; the giant ICBC bank gained approval to buy a major investment bank's operations in Argentina. Yes, the Communist Party may have long considered it "glorious to get rich", but its brand of capitalism remains very alien to the developed West's idea of financial fun. Seeing the trouble that has caused, however, you might forgive China's leaders for wanting to marry strict regulation with a boom in financial services. Gold investors everywhere might want to thank the bureaucrats' strong hand, too. "Is China's gold investment demand sustainable?" asked Albert Cheng of the China/Asia panel this afternoon. Yes, replied Zheng Zhiguang, general manager of precious metals at ICBC. Because over the next 10 years, there will be "very stable, progressive economic development. So household incomes will continue to grow. It's in the government's plan." Put another way, and again looking at the question of a "hard landing" for Chinese consumers and therefore their double-digit gold demand growth rate, "Beijing has tremendous means to achieve its growth targets," said Professor Yu Yongding, a former PBOC member and now at the Institute of World Economics and Politics, just before the conference's morning break. Western gold owners should hope he's right.